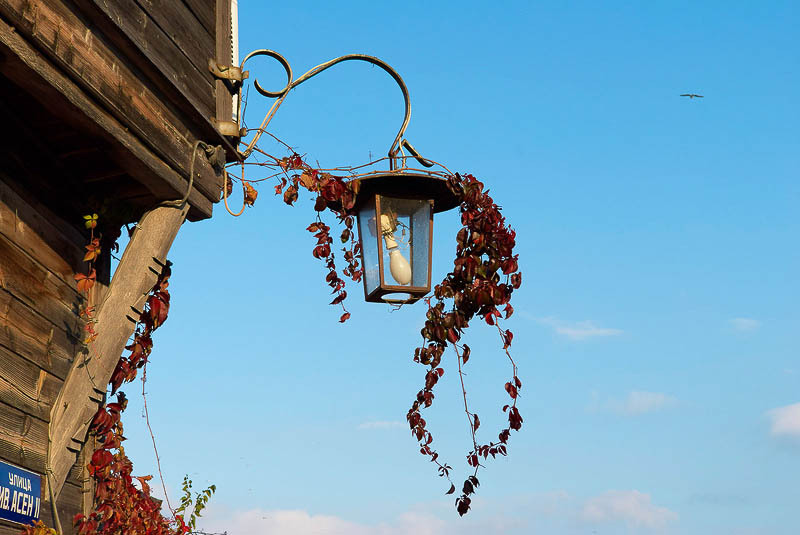 Electric light fixture on facade of old wooden house. Lamp with electric bulb. Lighting object. Electrical appliance. Electrical illuminant. Electrical luminaire.